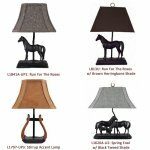 Horses : Wholesale Lamps, Shades & Bulbs | AHS Lighting Wholesaler, Value priced accent, floor & table lamps with matching shades! Whether creating a look for a sophisticated productive office environment or for a weekend getaway rustic lodge, there's nothing like the classics ? 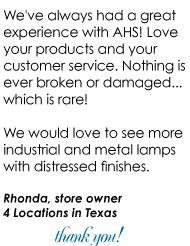 leather bound books, the smell of rich mahogany or fresh pine, the warmth of an antique or bear skin rug and the sense of adventure of equestrian accessories. At AHS, we appreciate the tried and true classics depicted by our extensive collection of horse-themed lamps and recognize the importance of a well deserved respite with our rustic and lodge related accent lamps. Give your customers what they need to enjoy their home away from home, whether the office or a cabin.